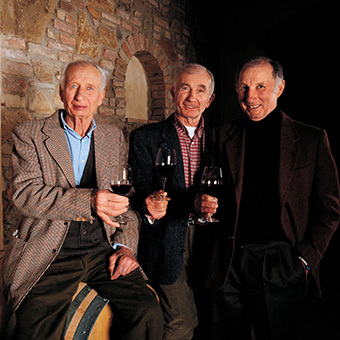 The three Fioroni brothers Umberto, Amico, and Bernardo were born and raised in the Marche region, where they also worked as sharecroppers, mezzadri, up until the 1950s. At that time, the farming system in use was the Mezzadria, which dated back to the Middle Ages, and resembled a form of slavery, more than a fair work contract between landowner and farmers. 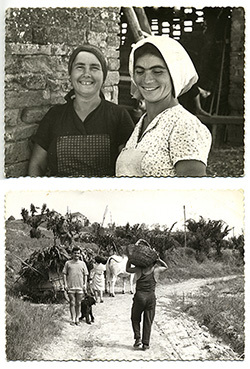 The terrible work conditions that this system imposed on sharecroppers, forced the three brothers to migrate from their homeland to the region of Tuscany, as many other families already did after the World War II. In 1955 they finally arrived in San Gimignano, at Fattoria Poggio Alloro. 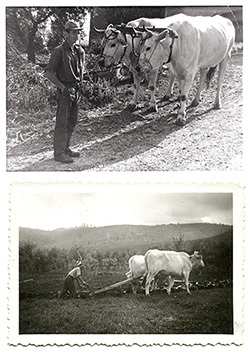 For generations the Fioronis were skilled farmers and breeders, and continued to work as sharecroppers at the farm until 1972. Through their hard work, great sacrifices, and dedication to the land they managed to purchase the first 25 hectares then in the same year they started growing grapevines, olive trees, various kinds of fruits and vegetables, and cereal crops. Later on, they built barns for the Chianina cattle and for other courtyard animals such as pigs, chickens, and rabbits. They also produced saffron, a common and popular spice in San Gimignano since the Middle Ages. Over the years, the children of the Fioroni brothers, felt the need to support their parents, both in farming and agriturismo, in a perfect union between tradition and innovation. Old and new generations decide together to embrace a completely organic agriculture, aware of the importance of an healthy and sustainable life style. In doing so, they chose to go back to their origins, with the full respect of nature and traditions. In 1991 the agriturismo experience begun, a facility which gives tourists the opportunity to experience farm life, get in touch with nature and animals, and taste traditional cuisine, as well as the products from the farm. In that same year, the Fioronis renovated a pre-existing building to create six double rooms for tourists looking for some relaxation. In 2000 another small building was renovated to obtain an additional four double rooms and a small apartment. At that time a beautiful swimming pool with a view of San Gimignano was also added, rounding out the agriturismo’s ability to provide a wonderful experience.